It's finally here! 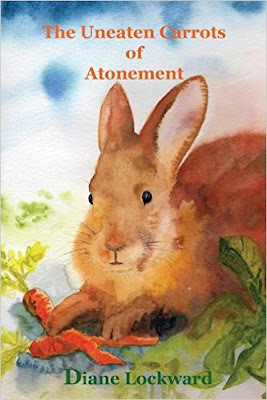 My new poetry book, The Uneaten Carrots of Atonement, arrived several days ago. I won't bore you with the details, but this was supposed to have been out last summer. Many delays and aggravations, but now all is back on track. I'm very happy with the cover done by artist Brian Rumbolo who also did the covers for my earlier three books. I love how he uses size and color. I hope you'll like the poems inside. know and took the strap for Karen’s crime. acknowledged what she’d done or apologized. We did not speak of her lie, or mine. an accusing eye, reminded me of my deception. in my own hand, and wished I’d moved faster. That poem won the 2012 First Place Prize in the Naugatuck River Review contest, selected by poet Pam Uschuk, a poet I admire. I rarely enter contests; therefore, I rarely win. But it was really nice to win that prize. So that's one carrot from the book. You should, of course, consume the entire bunch. As everyone knows, carrots are good for your eyes.